The Robson Valley gets its name from majestic Mount Robson which towers over the region and is surrounded by Mount Robson Provincial Park. 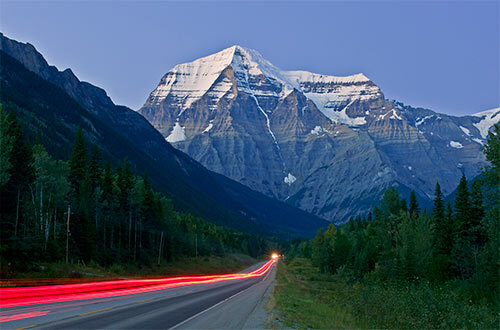 Mount Robson's presence is awe inspiring as the tallest peak in the Canadian Rockies. Mount Robson Provincial Park borders Jasper National Park in Alberta and is one of the most visited and photographed icons in the Rocky Mountain Range, clearly visible from Highway 16. The Secwepemc people apparently referred to it as Yuh-hai-has-kun, The Mountain of the Spiral Road. Visit the official website for Mount Robson Provincial Park.